Since 1981 Yeohlee has established her fashion house, YEOHLEE, and has been winning the hearts of fashion patrons everywhere. 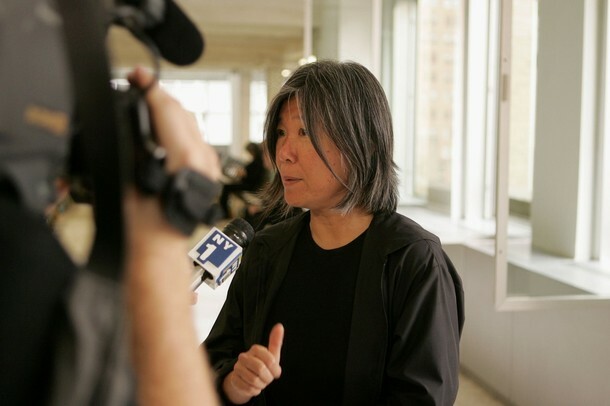 With exhibitions at the Metropolitan Museum of Art in New York and a feature in ” Fashion Felt” at the Cooper-Hewitt National Design Museum (limited time only: March 9,2009-September 7, 2009) Yeohlee has been recognized as an important figure in fashion history. 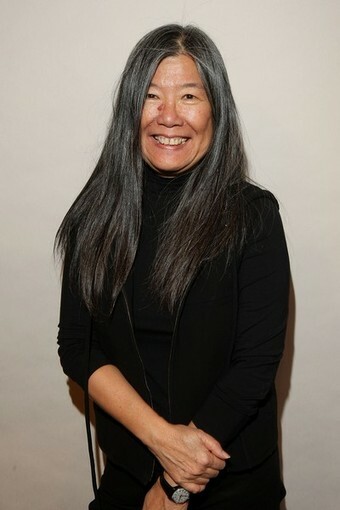 Teng attended Parsons School of Design after moving to New York from Malaysia. She coined the term “urban nomad” for her Fall 1997 collection, which means a lifestyle that requires clothing that works on a variety of practical and psychological levels. Named as one of fashions most powerful people by Business Week, Yeohlee uses fabrics and materials to her advantage; for that she is called a master of design management. With the use of cotton blends that resist spills, she makes fabulously draped, elegant clothing. The materials inspire the shapes and styles making her clothes have a sense of purpose that is practical and functional in addition to looking amazing. Like me, she believes in seasonless clothes because of its efficiency to the wearer. Yeohlee shows that she not only tends to the design of the clothing but the concept, the details of the fabric and the use of each piece of clothing in her collections to relay a message. 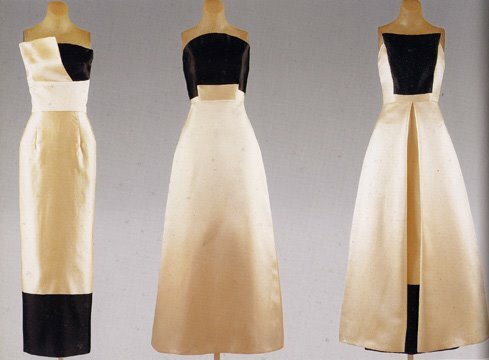 In 2007, Yeohlee told Forbes.com that she designs her collection with the idea that in the future when the world is destroyed and there are no machines to make clothes, her designs are what clothes will look like. Her designs reach outside the fashion world and reflect problems in the Middle East, rising gas prices, poor stock markets, and the horrible environmental outlook of the world. Teng has a lot of opinions about the world and the people in it. She advices people to change the way they live by adding a bit of thinking and conservation which she believes will go a long way. The accomplishments of Yeohlee Teng have soared. 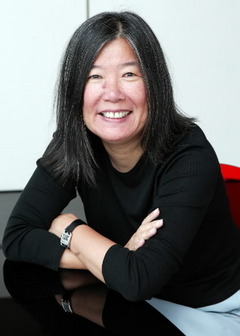 She has written books such as Yeohlee Teng Sees Parallels in Fashion and Architecture, in addition to winning awards such as the Smithsonian’s Cooper-Hewitt National Design Award in 2004. 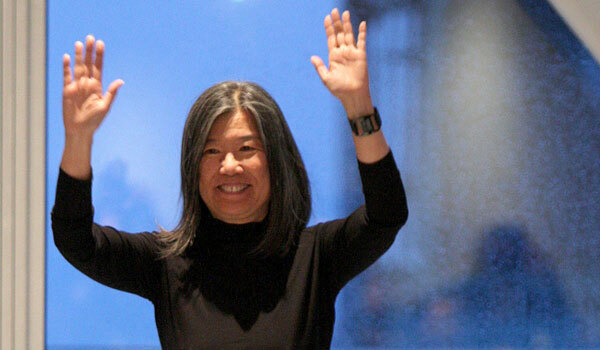 Additionally she has had exhibitions at the Galleria Museum in Paris and London’s Victoria & Albert in 2000 and at New York’s Museum at FIT in 2001 and at the Kennedy Center for the Performing Arts in 2005. Yeohlee is also a self proclaimed Fashion Week Neophyte, according to Elle Magazine. She arrives to shows on time ( also known as 40 minutes early), turns off her phone, and obeys all the rules of the fashion shows ( including the one that says no drinking in the runway, also known as “Ms. Teng, please throw away you freshly brought, $4 soy latte”). After doing 7 shows and 2 presentations, Yeohlee has learned that one can actually look at a book and judge it by its cover. By looking at the clothing and behavior of those in attendance at a fashion show, you can get the gist of what you are going to see prancing down the runway. Yeohlee’s show was no exception to that rule, the people at her show dressed classic and elegant where not there to be seen but merely to appreciate the art that Ms. Teng is trying to convey. The crowd was quietly attentive to Yeohlee’s pieces and drew no unnecessary attention to themselves leaving the focus on the clothing, which is completely opposite to what is seen in Bryant Park. This perfect audience supported her perfectly executed designs at her show. 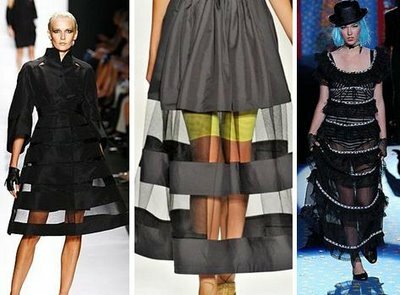 Teng shows how different she is from other designers by not buying into the idea of muses (The recent feature of the May Vogue issue), seasons, or habitual actions. She doesn’t want to take the same path everyday or the same path as everyone else, she claims this is why it would be very hard to stalk her. It is obvious she loves what she does and she works hard to make sure the women she designs for loves what she does as well. Yeohlee has an amazing collection for Autumn/winter 2009-2010. One thing that makes it particularly special is that she had zero waste, meaning every inch of material was used and not one scrap was wasted. Talk about getting hip with the times. She uses a method called counting, cutting the material into triangles, rectangles and squares to make different garments. She is a technical wizard who has an unwavering commitment to the environment and its conservation. How many other designers can say they do the same? Yeohlee’s simply colored dimply designed pieces are secretly intricate and fascinating. 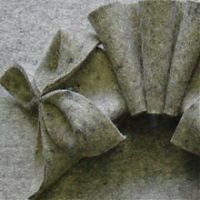 She designs with the fabrics as if they are apart of the design team where her roll is to style the fabrics and the fabrics drape themselves beautifully and just “do their thing” to create harmonious designs . Her pieces start at about $299 and are sold at major department stores such as Saks and Bergdorf’s. Her practical designs are loved by major celebs such as our beloved Merryl Streep. She makes clothing with the women and her daily needs in mind. She wants to eliminate the hustle, hassle and fuss that women go through daily with their clothing and accessories and so far, she has gotten the job done. Though we don’t know a lot about Yeohlee’s personal history we know a lot about her present career and I can tell you that for the future she will be a force to be reckoned with. Let’s End with two of Yeohlee’s quotes that I believe completely sum up her line and her line’s concept.